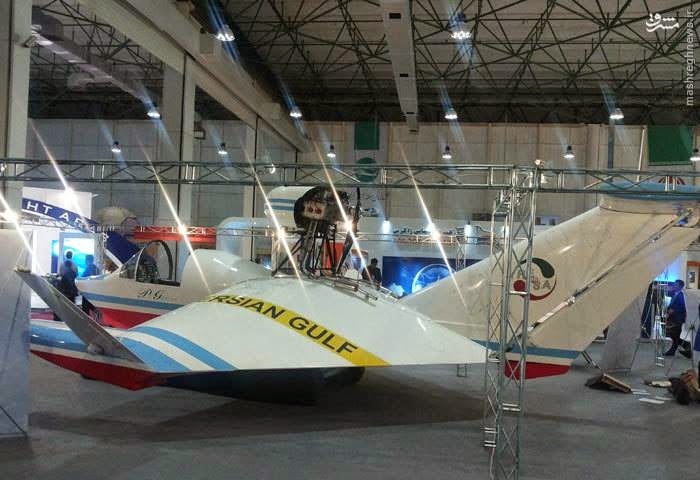 Amateur photography of HESA Bavar 4 ("Belief 4") ground effect vehicle (previously misidentified at UOI as "Bavar 2") taken at last month's Kish International Air Show. Above: open cockpit detail, with view of variant's frontal engine fairing with inlet for radiator. Detail of Subaru EJ-type 4-cylinder. 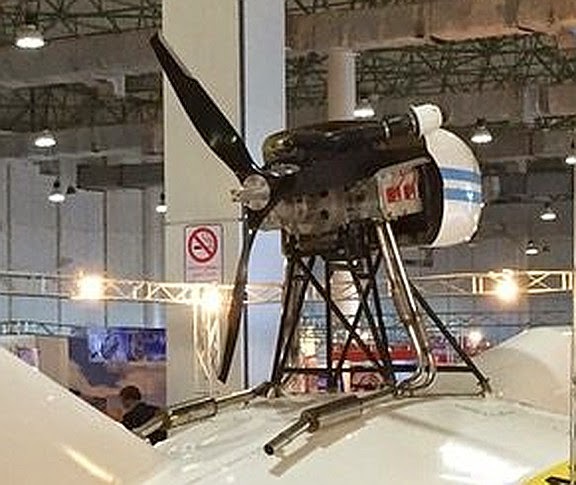 liquid-cooled DOHC motor, with 3-blade pusher propellor. Note variant's extended 4-2 plated exhaust system utilizing canister-type mufflers. Even the military version of this fiber glass toy would be hard pressed against an armed Cessna 152. Armed variant of the Cessna 152 does not exist. There are other militarily operated training aircraft that are armed, both jet powered and propeller driven. For instance L-39, a Czechoslovak jet which could carry a light weapons load. This type was available to me as an air cadet at the Iraqi air force academy 1970s. 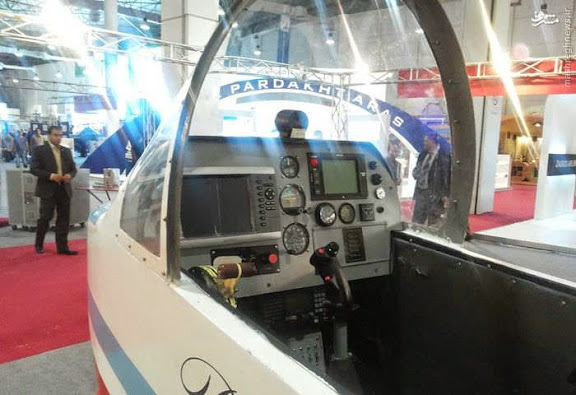 L-39 is possibly the most widely used jet trainer ever. In regard to propeller driven trainers that are armed, modern variants are still being developed and produced. Actually a military version called Cessna 172 was widely used in the US and I did my basic flying on it with one of the national guards. I understand that US sold Saddam some too. The Cessna T-41 Mescalero is a military version of the popular Cessna 172, operated by the United States Air Force and Army as well as the armed forces of over 20 airforces. 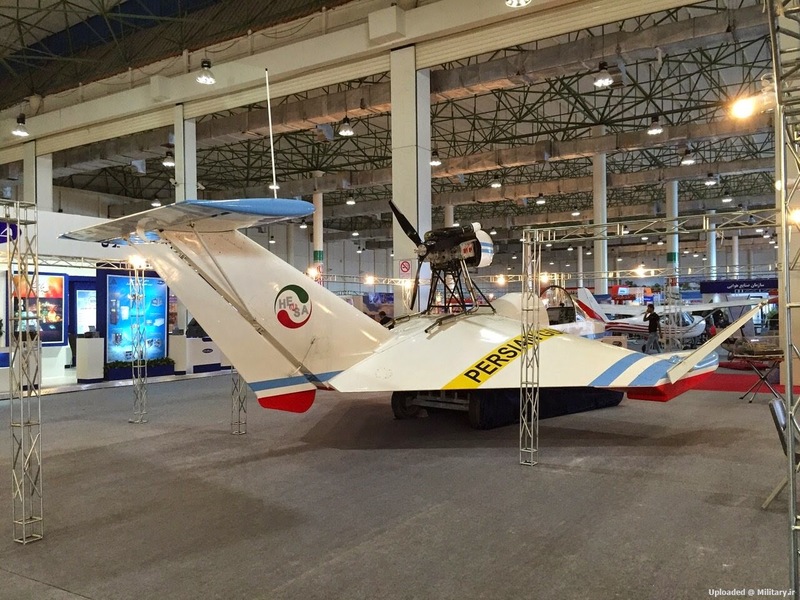 IIAF (Imperial Iranian Air Force) and then its successor the IRIAF have flown the aircraft. I saw one Kirkuk airport a while back and may have been used against the Kurds by Saddam as a COIN aircraft or spotter. We did have Cessna 172s which we used solely for basic flight training, but like the 152, no armed variant exist. I can't recollect seeing any T-41 during my time in the service. By the way, aside from the L-39, we also had the L-29, an older version of the same jet. We used a host of different fighter-bombers and low-level bombers against the Kurds already in the 1970s; Su-20, Mig-21, Tu-16 as well as the Chinese equivalent H-6. Only conventional munitions were used at the time. Chemicals had not been made available to us in the 1970s. We started using chemical munitions against the Kurds and Iranians from 1983 and on. F1 Mirage from Squadron Nr 79 which i belonged to, carried out strikes against Halabja in 1988. I did not participate in those missions which targeted Kurds with Chemicals and i suffered reprisals for disobedience. However i was a very good pilot which i proved in other ways, such as performing well in aerial combat, conducting successful interdiction missions, bombing of industrial infrastructure, and anti-shipping strikes, and i believe for that reason, i never got grounded or sentenced to execution. But i did participate in Chemical strikes against Iranian troops that had amassed inside the Iraqi border. As i have stated on several occasions before, that war was an absolute waste of everything. In the end, both of our countries were detroyed both physically and economically, with the real winners being those countries that exported military hardware and weapons. Yes, I know I had seen the Cessna 172 in Iraq. BTW, even though numerically superior with unlimited USSR and western support, the quality and tactics of the Iraqi air-force were very poor. The Iranians ran rings around around it despite severe spare parts and logistical handicaps. What is even more interesting is the Iranian mastery of US supplied aircraft like the F-14A ,F-4E and even the venerable light weight F-5E. The only globally recognized air combat aces on these types have been Iranians. The legendary and pugnacious Major and later Brig. General Jalil Zandi (1951–2001) holds the world title for kills on F-14A Tomcat and he has been reliably credited with shooting down 11 Iraqi aircraft (8 confirmed victories through examination with US intelligence documents released according to FOIA inquiry and 3 probable victories). The victories include 4 MiG-23s, 2 Su-22s, 2 MiG 21s and 3 Mirage F1s. This makes him the most successful F-14 Tomcat pilot ever. Other Iranians like Major Abbas Dowran, Major Yadollah Javadpour etc , Major Siavash Hoda was Iran's other known ace, he was an F-4 pilot. In the air the Iranians totally dominated the skies with 1:6 kill ratio and that even by US standards is no mean feat for an airforce that was under total arms embargo and many pilots released from mullah jails charged with sedition. Iranians should be very proud of their air force and its capabilities. That is absolutely true, Iranian pilots were very skillful. We had a couple of aces too, each had downed at least 5 enemy aircraft: Sayyed Hussein, Mohammad Rayyan, Ismael Saeed, Omar Goben, Abu Alia, Mustafa Khaleel. For instance, Abdul Razak was the first Iraqi pilot to account for the first loss of an F-14, while flying a Mig-21. I would consider myself to be an ace as well, with 6 air-to-air kills, 2 F-5, 3 F-4 and 1 F-14. From the start, 1980 through 1982, we had terrible losses. However the balance of power gradually shifted, and in 1987-88, the Iranian air force had been depleted to the point where it could not stop us from striking over half of Iran. For example, we initiated extensive air campaigns with sorties all the way to Tehran, Qom, Isfahan, and many other cities. However the Iranian air force still proved effective now and again, even during the later stages of the war, almost exclusively around Kharq Island. They really concentrated whatever they could muster in defense of their oil exports, because that was really Iran's vital life-line, the war was paid for with oil revenues. Despite Iranian air force's attempts, our strikes did weaken Iran's oil exports considerably, but we also suffered losses when F-14s were present at the target area. And beyond that, you deployed HAWK SAMs and other such systems that gave local cover for your troops at the frontline, but also as point defense, for the protection of certain military and industrial infrastructure in and around your major cities. We had our over-lapping Soviet SAM coverage and huge number of AA/AAA, which caused the Iranian pilots much difficulty when trying to reach Iraqi targets or operate over them. There's indeed much to be said and told about the conflict that was between us. That is an honest analysis. But keep in mind that all senior IIAF pilots and generals had been executed, jailed or exiled in 1979. And the when the first air-strike at Mehrabad took place on September 22, 1980, literally young men barely out US and Iranian pilot training schools were pressed into making very responsible air campaign decisions. The ingenious use of the powerful AN/AWG-9 and AN/APG-71 radars on the F-14A is another example of Iranian innovation on the battlefield to use them as top cover AWACS for BVR engagements. IRIAF also barely had a dozen Hughes AIM-54 Phoenix in working condition in September 1980. All initial counter-strikes in the early days was conducted by bold adhoc planning by very junior but highly motivated IRIAF pilots and planners. Major Abbas Dooran (RIP), in particular, proved every adept at strategic mission planning even during the early days and masterminded some of the most effective counter-strikes. The mere fact that IRIAF could mount these effective counter strikes within hours is a testament to the skills and dedication of young Iranians when called to duty in such adverse circumstance. Iraq also enjoyed massive foreign assistance from France, Egypt, India, Pakistan, East Germany and Russia as you well know. They supplied both adviser pilots and technicians, some French were even killed by Iranian deep penetration strikes at H3. Anyway, it was very sad chapter in the history of both nations and the consequences are reverberating throughout the region up to this day. I think many here missed the reason for this craft. 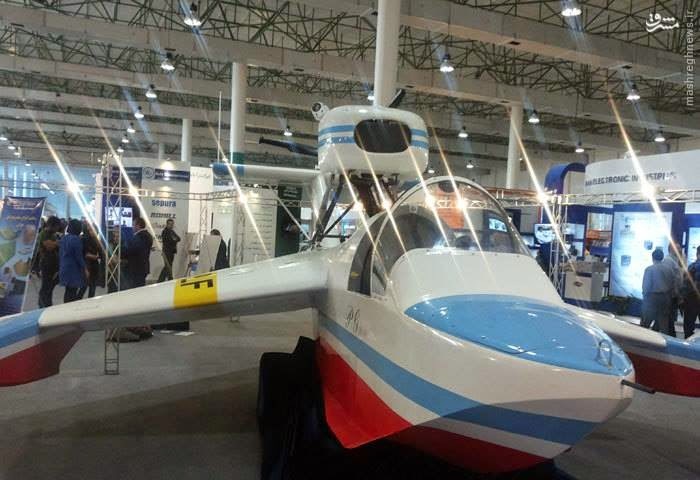 It was created for patrolling Iran's coastline on the Persian Gulf against pirates, smugglers or infiltrators. No one from their military said anything about using these to attack enemy navies. Don't let your imagination run away from you.